Tailin Lyngdoh was invited by her employer Nivedita Barthakur but was asked by Delhi Golf Club officials to leave the place as she looked like a 'dustbin'. New Delhi: A governess from Meghalaya was allegedly shunted out of Delhi Golf Club for "looking like a maid". Tailin Lyngdoh, who was wearing a Jainsem, a dress worn by the indigenous Khasi women in her state, was told by club officials that she needed to vacate the place as she looked a like a "dustbin". On Sunday, Ms Lyngdoh had gone to the Club along with her employer Nivedita Barthakur after they were invited for lunch by a member of the Club. However, 15-20 minutes into the lunch, two Club officials asked Ms Lyngdoh to leave the table saying the dress (Jainsem) she was wearing was a "maid's uniform" and also allegedly hurled racial abuse at her. "We were invited for lunch at the Delhi Golf Club. We were all seated and the lunch was almost to be served. Suddenly the Club official came to me and asked me to leave the place," Ms Lyngdoh told IANS. "I enquired the reason. They told me that the dress (Jainsem) I was wearing was a maid's uniform. They even said that I look like a dustbin," said a visibly upset Lyngdoh, who hails from Meghalaya's Langtor village in Mairaing Civil Sub-Division. "I have travelled almost all over the world and several parts of India and eaten food in the best hotels and clubs. But no one has hurled abuses on me or commented on my dress." Delhi Golf Club President Siddharth Shriram told IANS that he had no knowledge of the incident and had received no such complaint. "The attire comprises of two pieces of fabrics which are either tied or pinned at the shoulders and is worn either below the knee or ankle length. The Jainsem is generally worn with a blouse and a petticoat underneath," said Meghalaya's leading designer Daniel Syiem, who has showcased ethnic apparel in global fashion hubs like New York, London and Rome. Ms Barthakur, who is an entrepreneur and advisor to the Assam government, told IANS that they had a lunch invitation from her friend. She further said the two Club officials who told Ms Lyngdoh to leave were Ajit Pal and Sumita Thakur. "We explained to them about the dress... I am appalled that a citizen of India is judged on her dress and treated as a pariah," she said. "I am astounded over the Delhi Golf Club episode. It was a bitter experience for me and Nivedita and everyone out there. You cannot judge a person by what she wears and call someone a dustbin," Ms Lyngdoh added. Ms Barthakur said they will take legal action against the Club officials. "I have started consulting my lawyer. I will also take it up with Kiren Rijiju (Minister of State for Home) and Conrad Sangma (Lok Sabha member from Meghalaya)," she said. 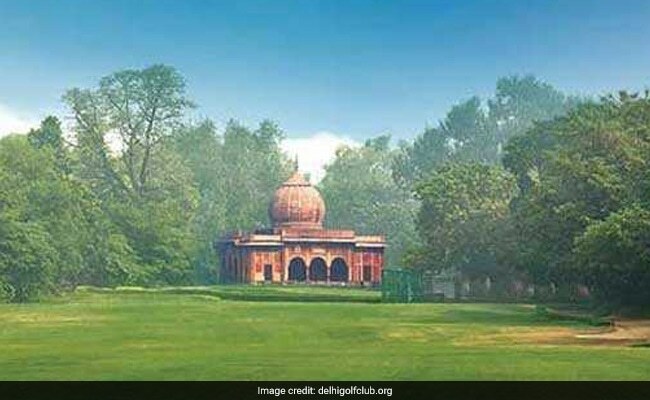 A former Delhi Golf Club President who did not want to be identified by name told IANS: "We do have a strict dress code. Just what happened in this case, I can't say."